For many of us, email is both a blessing and a curse. 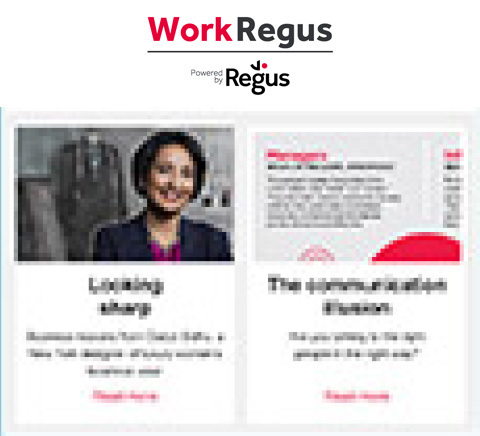 Flexible, instant and convenient, it’s the most popular way for business people to communicate – a Regus study showed that 20 per cent of you even deal with emails when on holiday. But it can be the bane of office life, with constant communication getting in the way of productivity. Here’s how to take control and make email work for you rather than the other way around. Just as a messy, disorganised office creates an inefficient workplace, a muddled email account makes poor use of an important tool. Take advantage of the plethora of labelling options to filter your correspondence. You might need to put in a little extra admin at the beginning, but it’ll be worth it. Some email services do this automatically – filing Twitter, LinkedIn and Facebook alerts to a ‘social’ tab. Create labels for newsletters, work rosters, and specific clients. Now take some time to decide which of these emails you want to appear in your main inbox, and which can drop straight into their own pigeonholes. As part of your tidy-up, decide how many of your email subscriptions are really necessary. If you’ve ever bought something online you’ll almost certainly have given away your email address. And along come the inevitable marketing mails. Take a few minutes to scroll through these and click ‘unsubscribe’. It may take a couple of weeks for them to get the message, but your inbox will breathe a sigh of relief. If you’re holding multiple conversations via email and finding you’re in an endless loop, struggling to recall the original gist of the thread, you’re not alone. We often treat email as a direct messaging service, but there are plenty of DM apps specifically designed for conducting group conversations. 60 per cent of you use Skype at least once a month – try Skype for Business at the office, or other apps like Slack, Cotap and HeyWire. Keep email for important missives (and cut out the emojis). A really good way of regaining control over your email is to strictly allocate your time. A survey we carried out in 2014 shows that 40 per cent of you would pause a long car journey to attend to emails. Yet in the days of yore, there were a limited number of mail posts per day. Treat your email in the same way. Set aside morning, afternoon and evening periods of 15 to 30 minutes of mail time. If it’s really important, they’ll pick up the phone.